Another week, another new civ revealed for Civ VI’s coming Rise and Fall expansion. This time around, it’s Georgia, led by Tamar, who ruled Georgia at the height of its golden age at the turn of the 12th century. Learn about Tamar’s playmates in our guide to Civ 6: Rise and Fall. Tamar’s leader ability is Glory of the World, Kingdom, and Faith.She enables Georgia to declare a special Protectorate War after gaining the Theology Civic, which will double Faith output for ten turns after the war is declared. Further, any envoy you send to a city-state where yours is the majority religion will count as two envoys. The Georgian unique ability is Strength in Unity, which will grant you a second bonus whenever you transition into a Golden Age. Georgia gets a unique structure, theTsikhe,which can be built in city centres. They are stronger and cheaper than renaissance walls, which they replace, and will also yield Faith. Georgia’s unique unit is the Khevsureti, a Medieval warrior named for a territory in Georgia. They suffer no movement penalties, and gain a combat bonus, in hilly terrain. A religious victory should probably be your primary choice as Georgia, and you can play into conquest or Golden Ages as a secondary, synergistic strategy. Depending on how much era score you can garner by conquest, it might be tricky to generate many Golden Ages as a conqueror, but if you can do both then Georgia look capable of generating astonishing amounts of Faith. 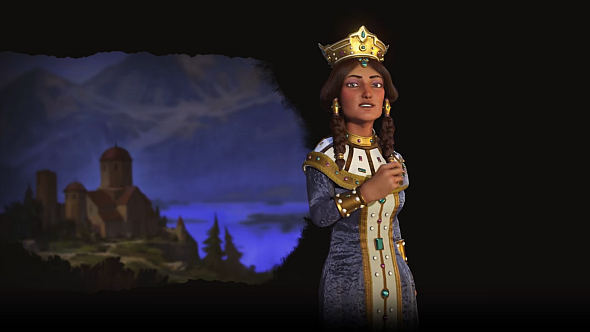 For more information, you can check out the Civilization blog or the Rise and Fall Steam page. Civ VI: Rise and Fall is due on February 8, and will cost $29.99, €29.99, or £24.99.